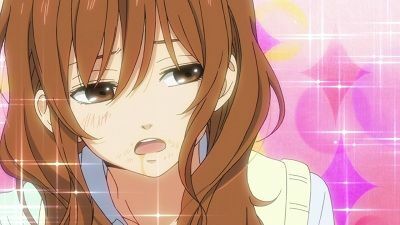 The romantic comedy centers around Shizuku Mizutani, a girl who has absolutely no interests except for school and her plans for the future. One day she delivers print-outs to the chronically absent Yoshida. After delivering the school materials to Yoshida, he believes the two of them are friends. Some simple advice from Shizuku has led to the class thinking different of Haru. Haru and friends enjoy time by the river. Shizuku wants to know more about Haru’s past, but it is a difficult subject for him. She learns more than expected when Haru’s brother meets her at school. Haru and Shizuku's relationship keeps flipping back and forth. Haru is now determined to win her over and is getting advice from his new friends. An oddball collection students have teamed up to build a chicken coop for Nagoya. 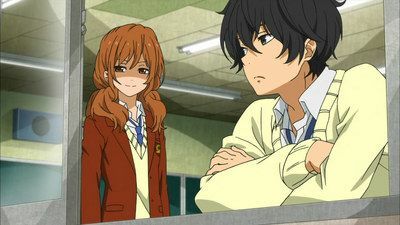 Still bothered between Haru's interaction with Oshima, Shizuku begins to act more coldly and distant towards Haru while she comes to the decision to solely focus on her studies. Meanwhile, Oshima struggles with her feelings over Haru and her troubles of being an introvert. 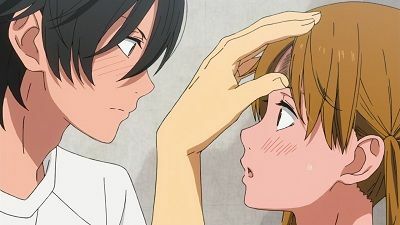 Haru tries to get closer to Shizuku by asking her out on a date, but while studying, she openly admits to him that she doesn't have any more feelings for him which creates a strain on their relationship. 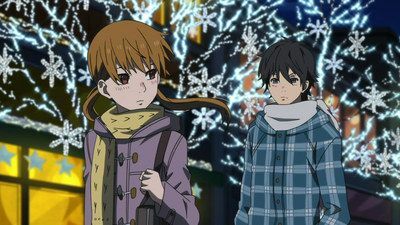 It’s the day of the festival and tension runs high between Haru and Shizuku. 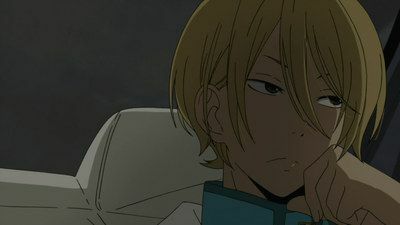 With Yamaken causing trouble, Natsume trying to help her friends, and Shizuku pushing everybody away, the group might be a verge of a breakdown. Shizuku is caught in a whirlwind of emotions and to make matters worse, a new weirdo has entered her life. 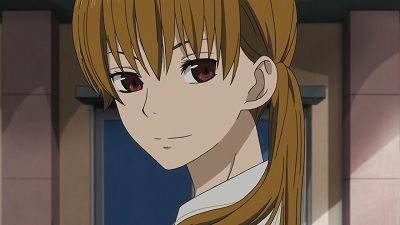 Shizuku Mizutani is tasked with delivering the class printouts to Haru Yoshida's home (who is skipping school despite having a suspension he obtained for fighting, over). Haru sees this as something only a friend would do and declares that they are friends. 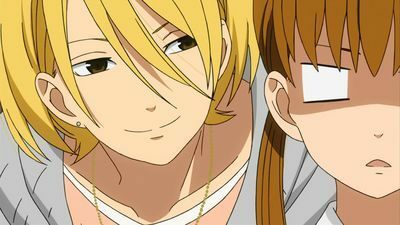 Their class teacher, Saeko tries to get Shizuku to persuade Haru to come to school or else he would be expelled. Meanwhile, Haru's punk friends take advantage of his sincerity and use him for money but Shizuku steps in and reveals the truth to Haru. He then confesses of loving her. Haru eventually goes back to school, where his inability to distinguish social protocols causes a wave of bizzare actions. Eventually, Haru nags Shizuku to go to a monjayaki restaurant but she states that she can't because of her studies. 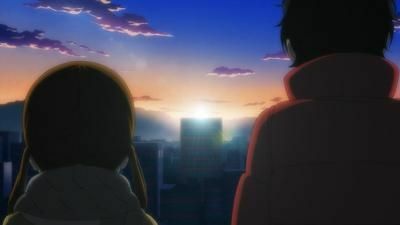 Though when he solves her math problem, she has a flashback where Haru had been the top ranked student before he was suspended. Shizuku then deems him her rival and studies hard, eventually places 1st in the midterms. In the end, Shizuku agrees to go to the restaurant. On their way Haru casually kisses her, leaving her stunned. 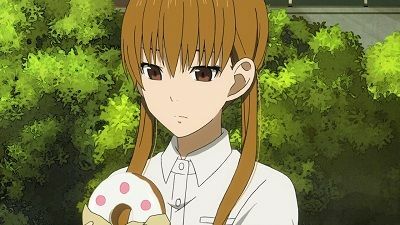 A month since the school festival, Shizuku's father's convienence store goes under for the 6th time which upsets her however she is able to calmly assess the situation. Her father remarks that due to her mother constantly working she grew up alone which resulted in her psyche not being able to manifest emotions. Haru, Sasayan and Asako get together for a study group where Shizuku realizes that she hasn't spent anytime thinking about her relationship with Haru. 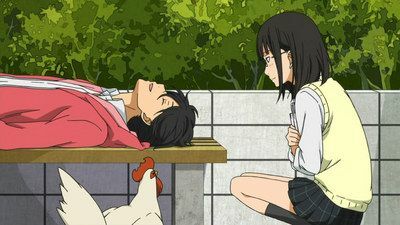 After Haru hears the story of how Shizuku never got any goldfish to care for, he spends his time at the river hoping to catch crayfish for her instead. 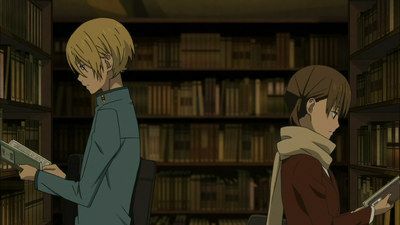 At the library Shizuku encounters Kenji, where she gets him to explain her priorites in a straightforward manner. Meanwhile, at the bakery where Asako and Sasayan are studying, Asako feels discomfort when some girls enter and trash talk about her within earshot. However Mitsuyoshi, is able to make them leave, which causes Asako to become infatuated with him. Later on the, group meets Haru at the river and just as they leave Haru encounters Yamaguchi, who returns Shizuku's pencil. Haru questions him on his feelings for Shizuku to which he replies by asking Haru if that would inconvienence him. 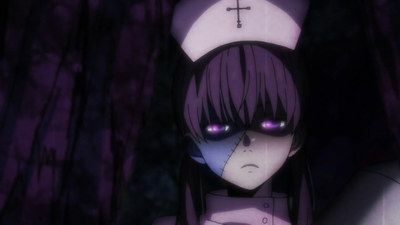 In the epilogue it is revealed that Asako was accepted into the school by an unorthodox means. It’s Christmas time and the mysterious Summer X has been planning a party for months. The party takes a turn when a group of delinquents invite themselves to the festivities. 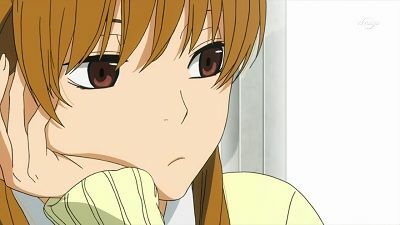 As the year draws to a close people go their separate ways, loneliness starts to creep into some of Mizutani’s friends as well un-resolved feelings. 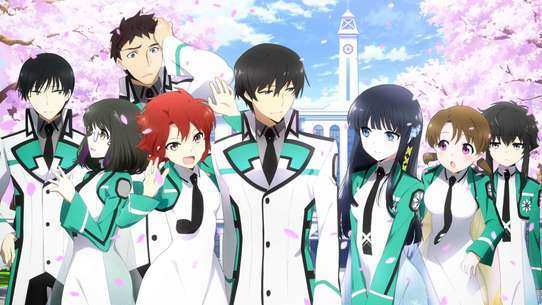 Kenji is shown to consider himself to being an elite member of society, since he, and his family hold him in high regard, even considering himself able to get girls as an extreme. Though. 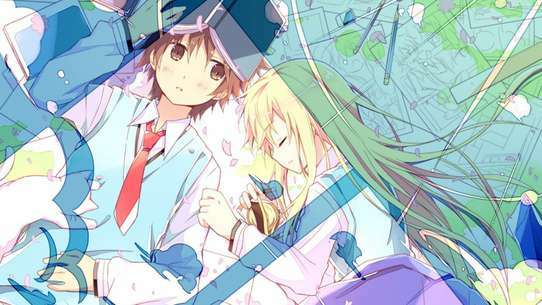 despite an initial denial, he gradually realizes his romantic feelings for Shizuku. Many things were left unsaid in the passing year, but before anybody can say what they are feeling Haru has been visiting each of his friends looking for something.